A2600 Phoenix (JPN/USA) in 00:18.15 by Lollorcaust. 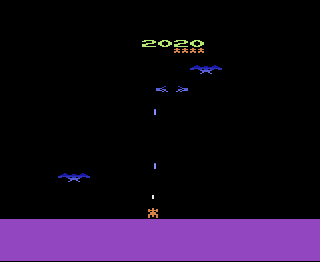 A fixed shooter game for the Atari 2600, where you must fight bird-like enemies and an alien in a giant spaceship. This movie completes one full round.